Working with an award winning agency. 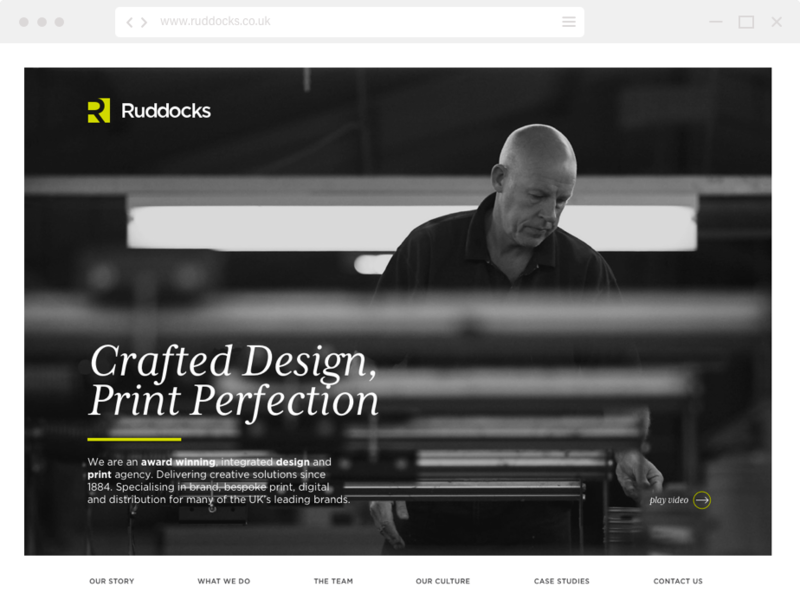 Ruddocks are an award winning, integrated design and print agency who have specialised in brand, bespoke print, digital and distribution for many of the UK’s leading brands since 1884. The challenge of working with another design agency was a mouth watering prospect, with the client setting such high standards in quality and design. From the outset I knew my capabilities would be pushed, but I was up for the challenge. Whilst at Quba, we first facilitated to help Ruddocks define their business, which they were struggling to do internally. There is a perception that a print company isn’t capable of quality design and Ruddocks are a fine example that this isn’t always true. Whilst they never want to lose those roots in printing, it became clear that it was the design offering that was going to attract the right type of client for the business stand out and move forwards. Running a sketching workshop internally and working collaboratively with our team produced a number of ideas to progress into design but more importantly it helped to form a rough content structure. The Ruddocks story is an interesting one and it was my ambition for the design to best tell it. 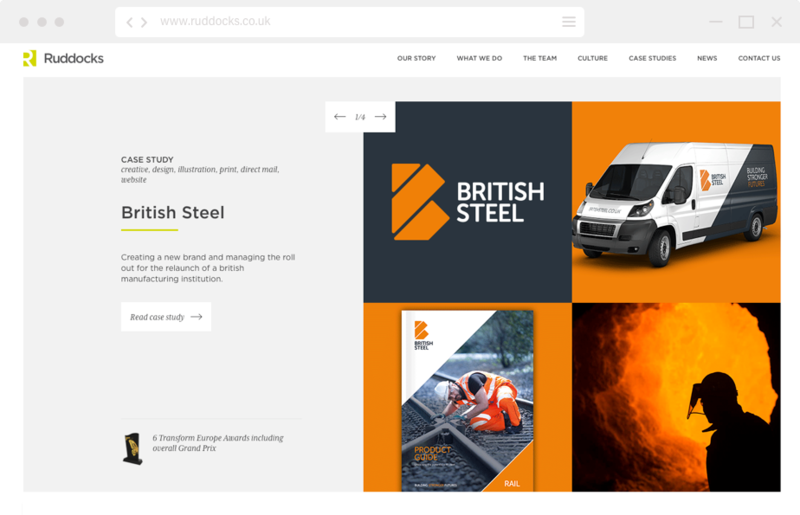 A great selection of assets and the use of transitions through sections makes the homepage a compelling experience that oozes character and helps the visitor understand what Ruddocks are capable of and what it feels like to work with them. On other page templates a combination of nice typography, stunning assets and the right amount of whitespace gives the website a quality, professional finish. We moved into browser to tweak certain elements, particularly on mobile where we were given freedom to produce the best possible solution. By adding the interactions such as background and content block transitions, the website came to life. The website was hooked up to Kentico Cloud by developers at Quba so that content can be kept fresh and up to date. 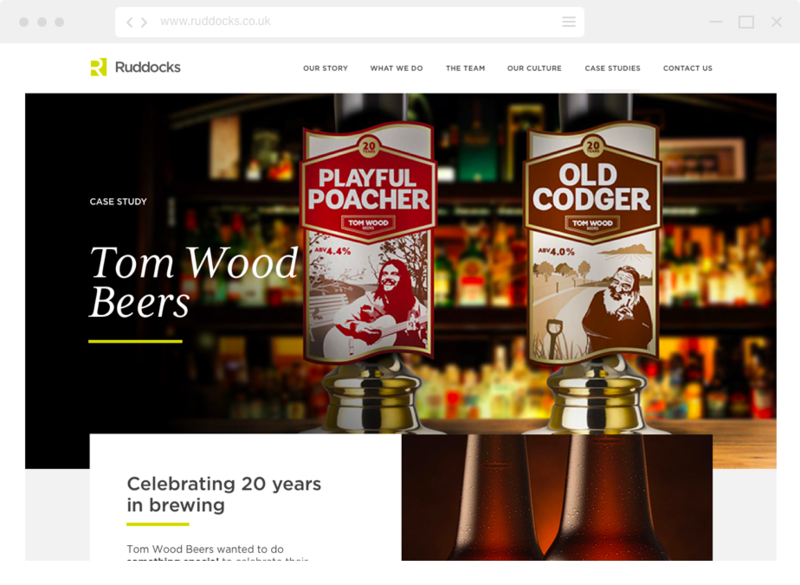 The outcome is a website that really helps Ruddocks showcase some of the quality work they are producing, and a website that we are all happy to shout about.